Ready to take a step back into the future with the Nike HyperAdapt 1.0, technology that’s activated by a heel sensor that automatically tightens its laces.An innovative pair of kicks featuring electronic “adaptive lacing” system. Technology just has not exactly lived up to the future as promised in the Back to the Future. We have Hoverboards that are around currently but do not actually hover yet. And the cost is $720 when we finally got the Nike self lacing sneakers 2015. Things are looking up for 2019 though .As Nike will launch a second generation of the hi-tech sneakers at a much more affordable $350 price level for the consumer. Nike confirmed that the sneakers are designed to be used on the basketball court. Nike said it’s “just one better fit solution amongst many” . The Nike technologically advanced designed Self lacing shoes are no longer in the future they’re here . Nike introduced the game-changing new HyperAdapt 1.0, the first self-lacing sneaker and a dream of sneakerheads and sci-fi geeks alike ever since Michael J. Fox slipped on a pair of custom Nike MAGs in Back to the Future Part II. The HyperAdapt kicks is built around the concept of an “adaptive fit,” which basically means that the shoe actually “senses” the contours of persons feet and tightens the laces just enough to wrap it up securely. The HyperAdapt essentially operates by giving your feet a warm embrace. Hold down one discreet button on the shoe’s collar, and the motor whirrs, loosening the laces—actually braided nylon bands—before automatically cinching them tight. Hit another button and the laces tighten a little more—if you’re about to start up an intense workout, say, or you just want an extra-snug fit. The blue box also lights up as a row of LEDs pulse across the back of the heel. We’ll admit we expected the HyperAdapts to be a bit clunky—at 14 ounces, a size 9 is certainly heftier than your average cross-trainer—but they feel surprisingly light. We wore the HyperAdapts through a quick basketball practice, a treadmill run, and agility drills, and in each case, it was surprisingly helpful to quickly loosen the laces (when on the run) or lock things down (when cutting across turf) with a simple button tap. That deceptively simple technology is the product of a decade of work in Nike’s most secretive labs, where a team led by legendary designers Tinker Hatfield, Tiffany Beers and Mark Parker created the real-life version of McFly’s MAGs that Parker and Hatfield first designed back in 1988. Sometimes, the breakthroughs came outside the lab. When Beers and her team were first designing the prototypes, the batteries lasted 20–30 minutes, tops, Beers says. But thanks to advances in battery technology over the design process, the production versions can hold a charge for five to six weeks. The HyperAdapts also come with charging “pucks,” which stick magnetically to the bottom of the shoe and charge the battery wirelessly, as the Apple Watch does. Beers with the HyperAdapt. ‘MT2’ on the sole stands for Mark, Tinker, and Tiffany—the design team’s signature. All that innovation comes with a hefty price tag: At $720, these sneakers are in the same league as your boss’s Ferragamos. They’ll be sold by appointment only—they come with a manual—and customers have access to an exclusive HyperAdapt hotline in case they have questions. Price aside, the question remains: Why, really, would anybody wear the HyperAdapt? Second, the HyperAdapt is also a major feat in sneaker engineering. By packing a lithium-ion battery and a cinching motor into the sole of a shoe, the Nike team has once again changed expectations of what a shoe can do. Plus, consider Parkinson’s patients (like Michael J. Fox), who can now tighten their shoes with the touch of a button. And, of course, thanks to their adjustable laces, HyperAdapts are also capable all-around sneakers. And while they’re almost definitely too pricey for everyday wear, we know they can hold up to your toughest gym routine with ease. technology Nike uses that makes self-lacing shoes possible. More in reach from the movies is the self-lacing Nikes sneakers . The Swoosh managed this monumental breakthrough back in 2015, the first year in which the sneakers with this capacity, the Nike Mag 2015, was unveiled to the public. On the other hand, these models may not have been considered the ideal self-tying kicks. They could have been described as bulky, presumably to accommodate the first generation of their unique selling editions. In addition, they were, again, not for the average buyer, being the focus of an auction to benefit the Michael J. Fox Parkinson’s Disease Foundation. One pair of the 2015 Nike Mags fetched $US 200,000 during this worthy event. However, Nike was back the next year with the second generation of the Mag technology. The Mag 2016 was somewhat more consumer-focused, with a recommended sale price of $720. They were also demonstrably more streamlined and conformed more to the low-top style of sneakers. Nike had previously outlined a commitment to making the self-lacing property one that benefitted athletes, i.e., those who would actually wear the Mags on a regular basis. However, at that price-point, the 2016 iterations were most likely also destined as collector’s items rather than typical street- or track-wear. The Nike shoes lace themselves through a technology called HyperAdapt by the brand. The basic concept behind these shoes was to slip them on and then allow them to tighten themselves at the laces in response to the dimensions of the individual’s feet. This is possible through a technological advancement called Electro Adaptive Reactive Lacing (or EARL) . In addition, the Mags have a set of buttons on the uppers – one tightens the laces, and one loosens them. Therefore, it should be far easier to adjust the shoes for a perfect fit compared to traditional laced up athletic shoes. There is one particular drawback with this electronic system, however, and that is the need to charge them. The EARL mechanism has a battery, which Nike rates for two weeks’ worth of wear per single charge. They are powered through a magnetic connector on the bottom of the shoes. These are noticeable through their LED-powered finish; it glows blue if the laces are fully charged, yellow if charging is required and red if the battery is critically low. Nike also includes the adapter for the battery’s connector (which somewhat resembles an enlarged Apple Watch charger) in the box. Those who are still interested in the Mags, despite the price tag, may be relieved to hear that it is set to come down in 2019 – the HyperAdapt-powered shoes will apparently cost $350. This is not exactly typical high-street costs, but it is still far more acceptable than the $700. This generation is purported to be designed for basketball players. There are also rumors that the upcoming iteration of the Air Max line will have HyperAdapt technology. They are also rumored to have the thickest form of the air-powered sole that defines this sneaker series. For the first time ever,in 2019 Nike will bring digitally powered adjustable footwear to professional sports,” said Parker on the call. He added that athletes had been testing the technology over the past few months. 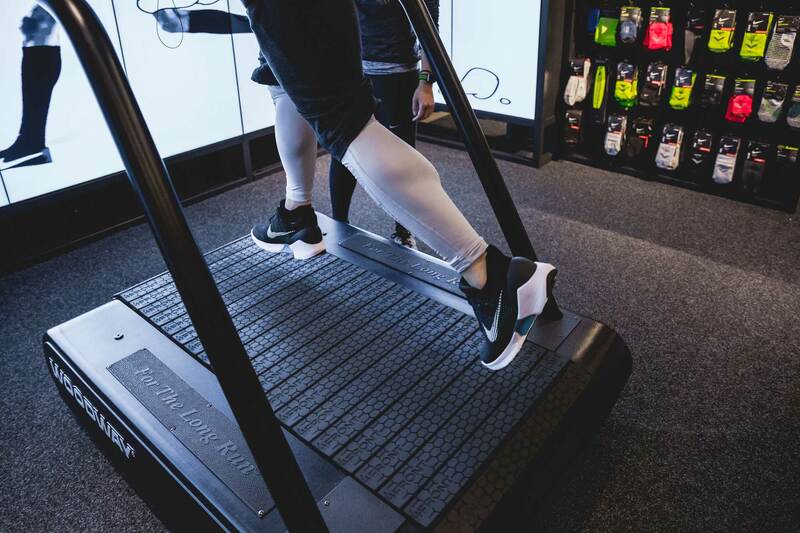 It is important because the first model, 2016’s HyperAdapt 1.0, featured digital sensors that detected tension and the volume of the foot inside to then automatically tighten around the wearer’s foot, providing a secure, locked-in fit. However in 2019, researchers and designers for shoe have always had the athlete in mind, as the intention is to build a sneaker that can eliminate swelling to an athlete’s foot and accommodate changes in pressure while playing sports. In addition, the self-lacing philosophy may have caught on in some other Nike styles and sub-brands. In a October 2018 article Laceless Nike Shoes-New Era Of Modern Footwear I did discussed the Air Jordans XXXIII (or 33) have FastFit technology, In which pulling on a perticular area of the iconic shoes’ instep automatically tightens the shoe . It has a price tag at launch time of $185 on eBay, maybe a more affordable price point to test out the self lacing paradigm personally . Overall, we cannot say as yet that all the Nikes of the future will have this technology. However, it should become more and more widespread as time goes on.We shouldn’t be surprised that Nike is developing another pair of these adaptive sneakers, especially after it went to the trouble of including a telling “1.0” in the name of its first generation HyperAdapt shoes. That said, even at less than half the price of the Nike Mags at $720 you might still struggle to justify the cost unless you are a serious sneaker head. Nike is promising that they’ll deliver a “perfect fit. If you consider yourself as a passionate online shopper like myself, eBay has amazing deals on the best products.I hoped you enjoyed the Nike Women- Nike Back To The Future Shoes article and if you have any questions want to leave a comment or want to leave your own personal review,please leave a comment below . Interesting read. The hyperadapt sounds very cool. Thanks for the comments Ikem .Have a great New Year! Awesome web page definitely going to be coming back here soon. Thanks for the comments Jamale .Keep it locked to this website for articles coming soon .Have a good day ! Very sensible and adequate review about the shoes “Nike”. Were I a brother/father or a boyfriend of a girl whose hobby is baseball, then doubtless this could be enough to buy it at the moment!. Nike has always been my favorite brand. No doubt about it, they’ve been excelling the quality of their products steadily over the years. But I didn’t know that much about them, at least not in the same depth as shown in this review. What I really appreciated is that their shoes are a really good fit for basketball players, just like you said here. As a former basketball player myself, that fact has always been a huge factor when making a purchasing decision.